How do I make my form appear the same on both PC and MAC? I built my website with a mac using a jotform contact form on every page. It looked fine and then I realised it was completely diferent on a PC - fields didnt line up, it was just a mess. I edited the jotform using a PC so that it looked right again and now I come back to the MAC and its all messed up on there!! The spacing is hugely different.... Is there anyway to rectify this? 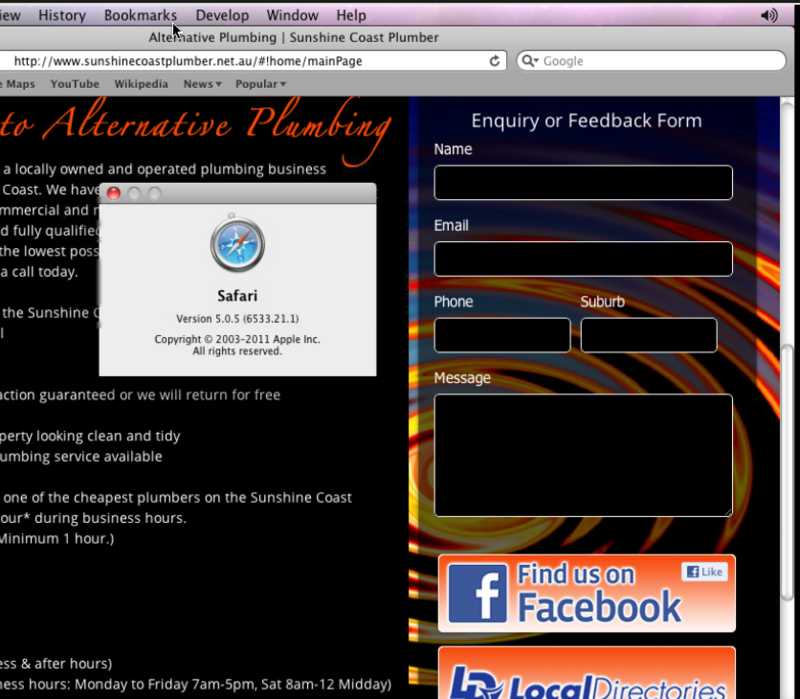 The website is www.sunshinecoastplumber.net.au and the contact form is on every page. First off, can you please re-embed your form using the following codes? Afterwards, check the form's appearance on a PC and a Mac, then get back to us if there are differences. We look forward to your results. Thanks! Are you using the same browsers for both platforms (Mac/PC)? Which browser/s are you using? Would be great if you can post a screenshot of how it appears on a Mac (I am a PC user, unfortunately). And it looks different again on mobile phone... I got the fields to be the same length on the PC and MAC but the submit button is gone on the MAC because the spacing between the questions is bigger on the mac than pc. if I make the spacing smaller it doesnt look right on the pc. 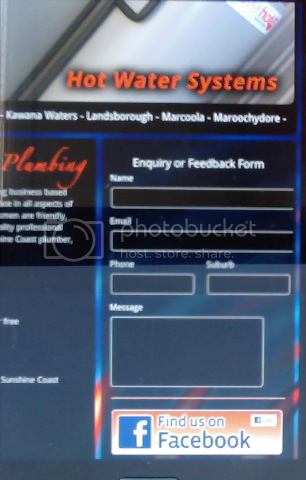 On mobile phone the text box fields are waaaay longer than the text area field and the submit button is not visable. Its not working... how do I upload? Sorry for the delay. I am currently investigating the problem. I will get back to you soon, hopefully with a fix. I am also looking at the screengrab you provided, and I can tell the difference of how the Name and Email fields appear on both. Can you please try adding in your form CSS code, specifically for the .textbox class the "width : 100%;"
I could not try it on your web page, so, I am not sure how it will behave, But I did tried it on some test page, it seems to work. Please inform us if this still does not work. Still bad I'm afraid... the wrost thing is the fact that its so different between mac and PC. If I make it look ok on the PC its looks wrong on the mac and the submit button isnt even visible. 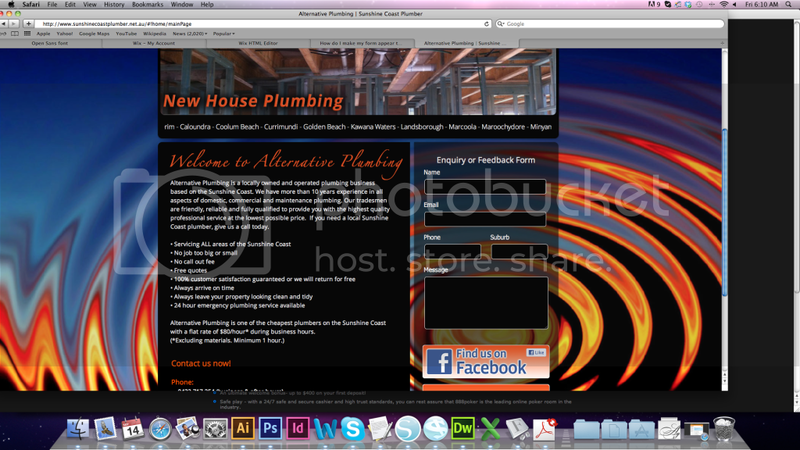 If I make it look right on the mac it looks terrible on the PC... And the mobile version is just totally messed up! OK. sorry for that. I will try check further. If we can also wait for NeilVicente's input, that is an option we can take. He is more experience on this, maybe he can have a viable solution. I will also post update whatever I come up with. 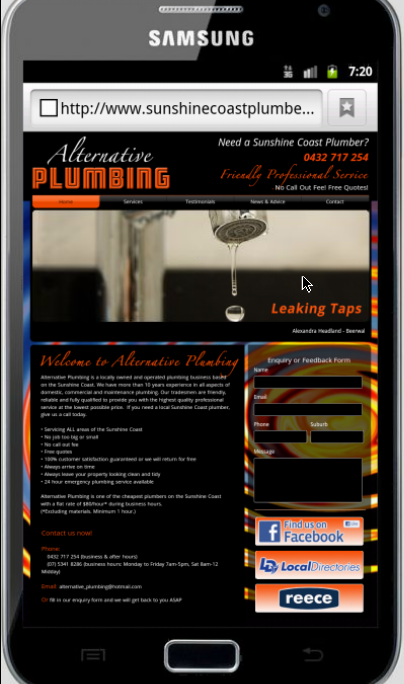 Can you please share with us which Mac browser and mobile device you had tried this so far. I just checked it now that. you have added the width: 100% rule.., it seems to be fine on OS X and Iphone 4S. Any luck yet? My client has now told me that the submit button is hidden under the content below the form when viewed on iphone. please help me fix this. Will it be OK if you use the iframe code embed of the form when embedding on your website? Please update us if iframe code should work. I just realized, you were already using iframe code which was mentioned previously...sorry for repeating. It could be that the iframe height does not fit within the <div tag... if you can find way to check this on your web page for confirmation. The iframe seems to be working fine on my end. It displays properly on my PC, I used Chrome and FF for that. It also displays correctly on Safari/Mac as tested just now. Is the issue still persisting? Or maybe I've mislook the problem. Please update us regarding this. Thanks! Your message came in blank. If you would like us to provide assistance please start a new thread with your question and we will provide the assistance that you need there.